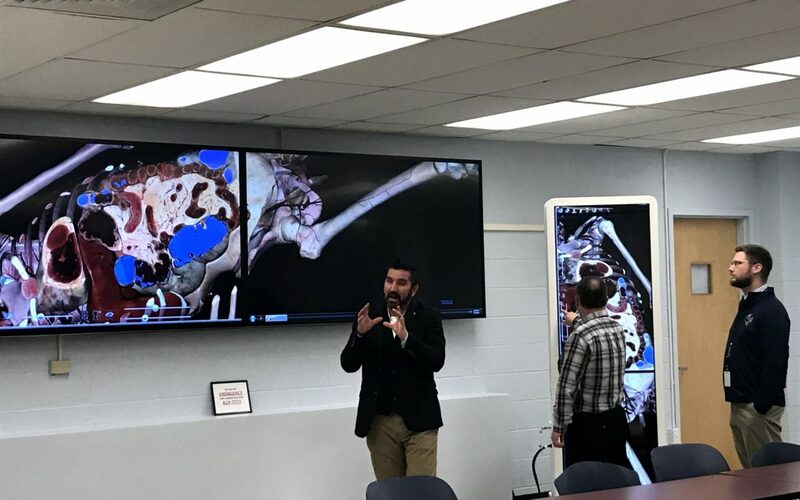 Administrators and teachers from Charter School for Applied Technologies paid a visit D’Youville College in April to tour our facilities and discuss a possible partnership. On the left, a visit to the Nursing High-Fidelity Learning Lab. The room features a SimMan3G that is a simulated patient model. 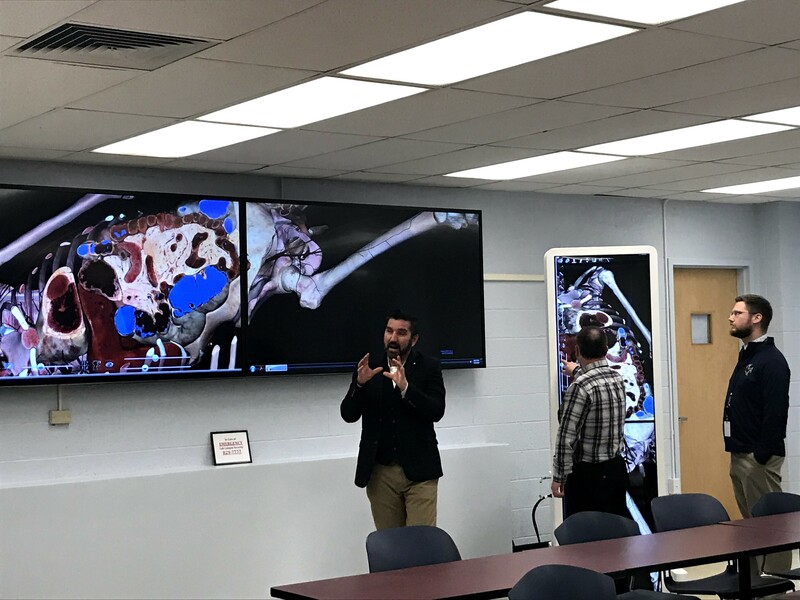 SimMan3G is surrounded by audio and visual devices for capturing and recording activities students engage in for health care education. The unit features flexible and mobile wireless technologies, an automatic drug recognition system, light-sensitive pupils, convulsion system, CPR feedback and performance measurement, bleeding wounds, vascular access, chest decompression and drainage, sweating and gland excretions, and can talk, simulate breathing patterns, heart sounds, and simulate a heart attack. 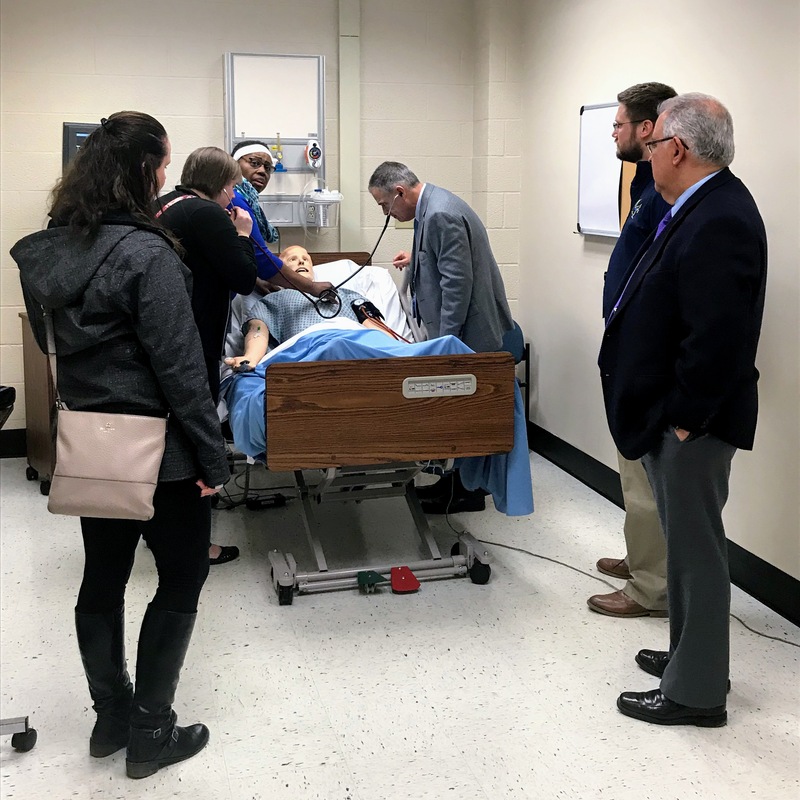 Students engage in simulated activities where they are challenged to work collaboratively to solve address patient care issues. On the right, a visit to the Anatomage Chiropractice Lab. The room features our Anatomage Table which is a Virtual Dissection Table. Faculty and students can gather around the table and virtually dissect a body. It is the most technologically advanced anatomy visualization systems for education. It can take a fully segmented real human 3D anatomy model and fully dissect it in 3D and goes well beyond what any cadaver could offer.